Alena Kacal, Director of the Jerusalem Bird Observatory, and Manomet's Evan Dalton get to know each other before last year's COTF. Since 2014, conservationists with the Society for the Protection of Nature in Israel have been organizing the Champions of the Flyway fundraiser. COTF is a 24-hour bird race fundraiser, similar to Cape May’s World Series of Birding. 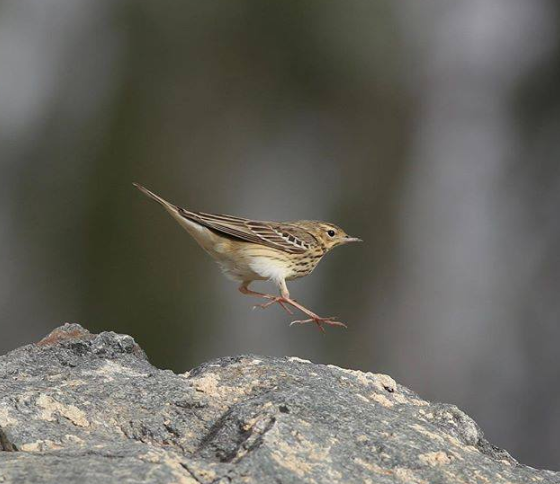 Taking place March 23-27, this fundraising event takes place during peak spring migration, when hundreds of thousands of birds will migrate northward through the Middle East into Eurasia. Teams have 24 hours to see as many bird species around Eilat, Israel, in a quest for conservation and glory. Each year, COTF teams raise funds to support a different conservation need. This year, teams are raising funds to aid efforts to conserve the last of the migratory and resident vulture species in the Rift Valley of eastern Africa. 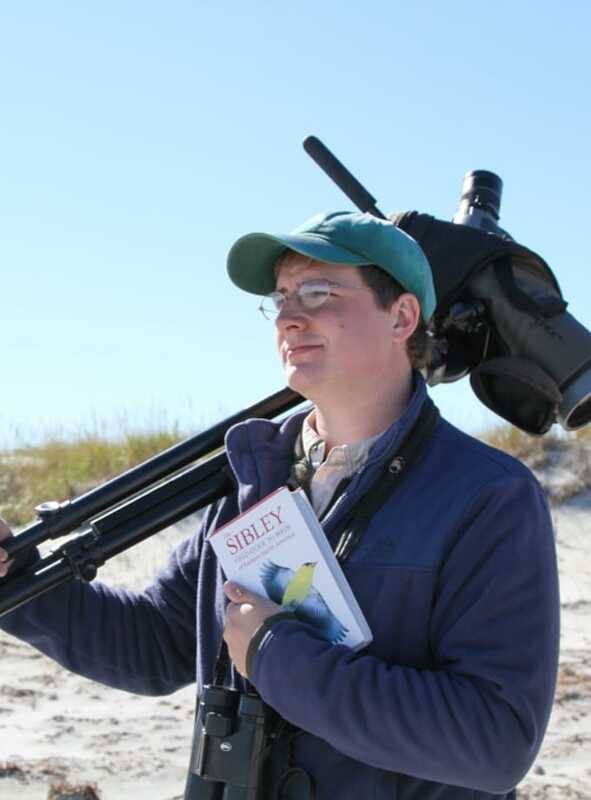 After participating last year, Landbird Conservation Director Trevor Lloyd-Evans and Lead Instructor Evan Dalton will be headed back to Israel, not only to participate in the Champions of the Flyway 2019, but also to present at the third International Bird Observatory Conference to be held in Eilat directly following COTF. Trevor and Evan will both be giving talks on Manomet’s 50 years of data and our educational work. As expected, Trevor and Evan are quite enthused to visit such a fantastic hotbed of bird life, and to experience it with friends and colleagues from the Jerusalem Bird Observatory (JBO). There’s a great deal of excitement surrounding both events and it’s always fantastic when that many birders and ornithologists are together in one place. Our relationship with the JBO started in the fall of 2017 with a brief pair of exchange trips culminating in a joint presentation at the second IBOC in Cape May, New Jersey. 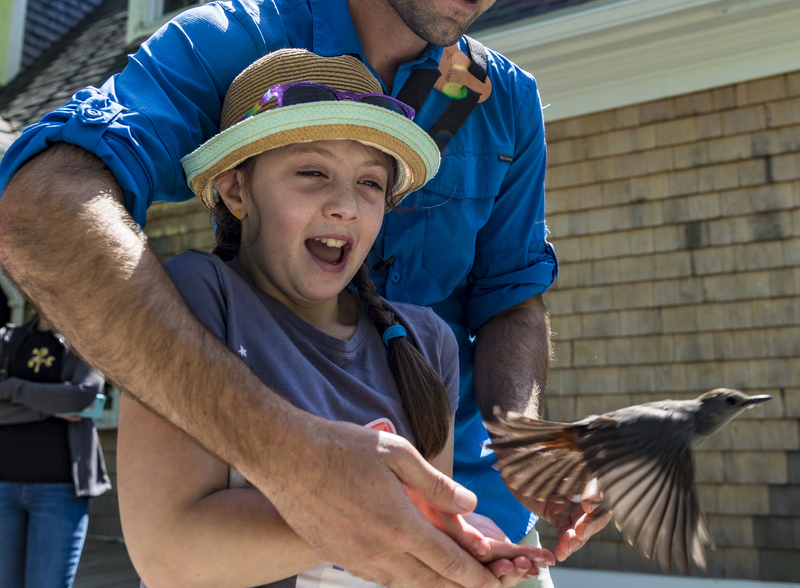 Since then, Manomet and the JBO created a joined Champions team in 2018, the Rocking Redstarts (comprised of JBO’s Alena Kacal and Avner Rinot and Manomet’s Evan Dalton and Alan Kneidel) and raised over $4,000 for songbird conservation in Eastern Europe. (They also came in fifth place with 169 species seen)! During the visit, Evan and Alena also signed an official friendship agreement between the JBO and Manomet. In the time since, we have been helping them analyze their 25 years of migratory bird data and they’ve been helping us better understand ways to enhance our environmental education and outreach. Please consider supporting the Rocking Redstarts; we’d love to exceed our success last year! For more information, visit the 2019 Champions of the Flyway website. Good luck team!